In 2004, we were introduced to the Parrs – a typical family with superpowers tendencies. We fell in love with the entire family as they saved the world, using their incredible powers, even when super heroes were banned! Mr. Incredible, the head of ‘The Incredibles’ family, along with wifey Elastic Girl, and kids Violet, Dash and Jack-Jack, touched each one of us like the fresh breeze. And just as it was about to end, we wanted more of it. Yes, you heard it right. After 14 years, the Incredibles are coming back. Director Brad Bird was waiting all this while to find the perfect timing for addition of more incredible story and we guess, he has found it. Incredibles 2, with two ‘i’s in the poster is finally coming. We are going to see a lot more team work from ‘The Incredibles’ family as they go on to save the world that hates them. Able to connect the dots? This means that Incredibles 2 resumes where the first part ended - ‘The Incredibles’ facing the Underminer and Jack-Jack discovering his unknown powers. Not just the new born, all kids of the Incredibles family – Violet, Dash and Jack-Jack – were yet to discover how Herculean their super powers are. And while they discover them, they had to prevent exposing them to the world because superheroes were disliked by the normal people and therefore banned. As the story will continue, we shall find out what powers the kids of ‘The Incredibles’ family develop and how ‘The Incredibles’ rectify the public image of superheroes. ‘The Incredibles’ family isn’t aged up at all in the sequel. The reason, as coined by the Oscar wining director, Brad Bird is the reflection of their age in the activities the do. It is their roles as a family, more than as superheroes that makes them loved. Incredibles 2 continues to show us the different superhero genre. You can find everyday strengths and weaknesses in them. You can connect with them as parents and as kids. You will know what it is to have a baby in the house. You will now what troubles teenagers face. You will know what it feels like to take care of children when they are discovering themselves. Each one in ‘The Incredibles’ family, resembles our own. Have a look at the powers they have and how closely they are linked to everyday lives. Cast of ‘The Incredibles’ is inspired from everyday life. 1. Dads like Mr. Incredible, who are super strong and head the family. 2. Moms like Elastic Girl, who are super adjusting and bind the family. 3. Teenage girls like Violet, who are defensive, shy and insecure, wanting to be invisible. 4. Ten-year olds like Dash, who are energetic, impatient and chase their interest. 5. Babies like Jack-Jack, who are unpredictable and unknown. They are superheroes later, our family characters first. And that is what makes us love the concept of people playing their roles as a family and discovering their powers with the due course of time. But here’s a hint. There will an exchange of roles between dad and mom. The Incredibles will amend the public image and live happily ever after. Are you ready for something awesome? No? Something great. No? 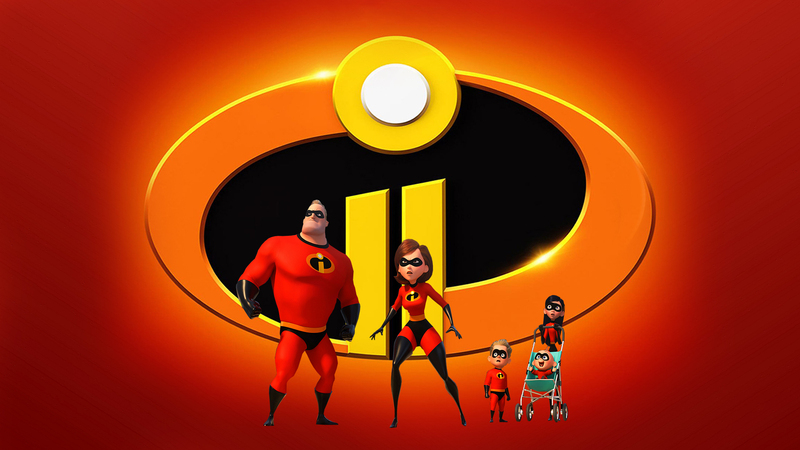 Incredibles 2 is all set to release on June 15, 2018 in theatres near you. The Incredibles Day is coming. And you won’t want to miss it!